Richard Branson, founder of Virgin, once said “…a company’s employees are its greatest asset” and this is true of all businesses, whatever the industry you’re in. For a childcare setting in particular, the strength of the people you employ and how they work together is a determining factor in whether or not your setting will succeed or fail. When employing new staff, try to find individuals who closely match your setting’s values and the vision you share for the future. Recognise personality traits in potential candidates which will make them a suitable fit for being part of your team – for example, being able to communicate well. Knowing how your staff members tick is crucial to making your team a successful one. When things get tough, it may be that a planned social gathering gives your staff the motivation to get through a difficult situation together and come out on the other side. If you don’t know what motivates your staff, ask them! Managers reward behaviour in different ways: some buy gifts whilst others are very vocal in letting their staff members know when they have excelled. 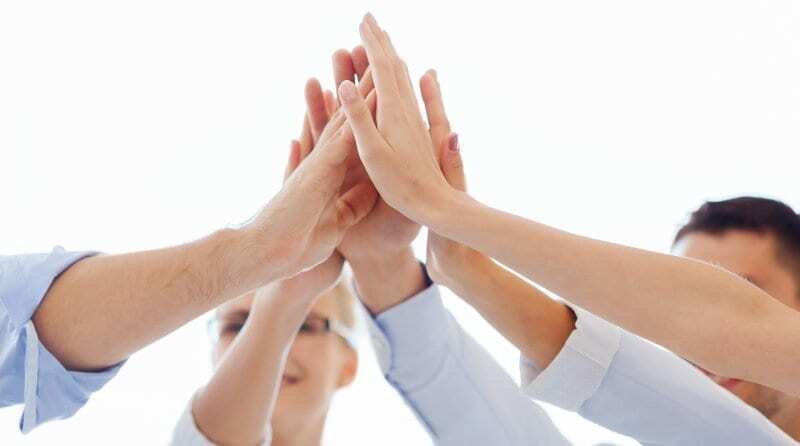 Whatever the success and however small, giving praise to your team will build a sense of camaraderie and can help raise morale amongst team members. Teams that communicate well with each other are more likely to succeed in working together. Encourage everyone to be open with each other and not to sit silently on any problems they may be having. Developing different lines of communication will help this – such as email, a whiteboard in the staff room, and regular team meetings to get feedback on how everyone’s doing. It helps if you have a blend of different personalities in the group, as each will bring their own value. Extroverts are normally expressive about their lives and successes, whereas introverts will be more likely to stay quiet. Ensuring that you have a mixture of both in the team will ensure that you won’t find yourself in the middle of a “turf war” with similar personalities causing discord in the team. Staff cannot excel in their jobs if their responsibilities are unclear. Worse than that – a team will not be able to function properly without every person knowing exactly how they will contribute to make the “machine” work as a whole. All staff should be clear on what their job entails, who they are reporting to, and how they fit within the team as a whole. Does your team know that you want to increase your occupancy to 100% by the end of the year? What about your plans to introduce organic meals at lunchtime? If you do not share your plans for the future with your staff – they cannot help you achieve them. Therefore, make your goals visible to the team as much as possible to remind them what they’re working towards.